Led by Ms. Sarah Holt, the Bocce Club brings all students together as they team up to compete in central league tournaments. Strath Haven High School strives to be an accepting, close-knit environment. In the past year, the Bocce Club has become a pillar of the community by uniting all different types of students through athletic and entertaining competitions. Led by Ms. Holt, students with special needs, as well as their peers, team up to play bocce ball in central league tournaments, practice two times a week and even compete against teachers in student/teacher games. 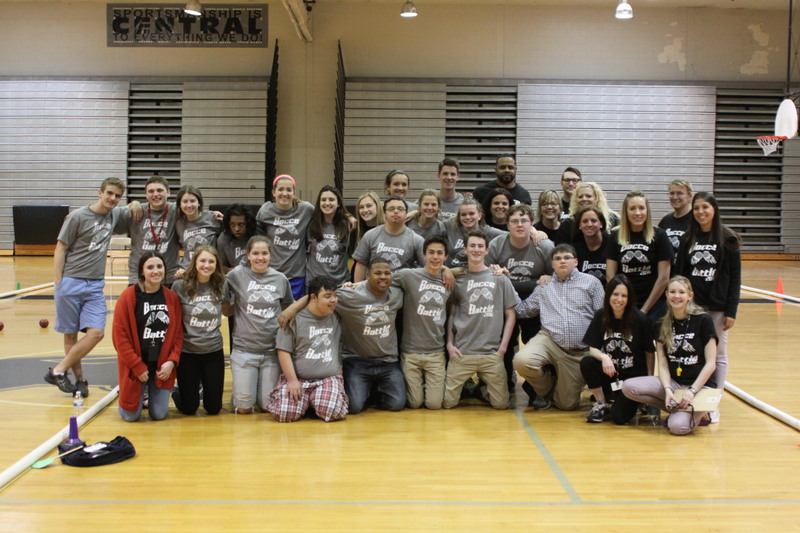 Last year, the club spearheaded a campaign called “Spread the Word to End the Word.” This campaign focused on turning Strath Haven into a school where the word “retarded” no longer has any place in daily life. Morgan Crain, a member of the Bocce Club and supporter of this campaign said, “I think this campaign and club are very important because I want Strath Haven to be inclusive and supportive of everyone because overall we are more alike than different.” Throughout the school, students took pledges to recognize that the use of the “R” word takes away the unique identities that certain members of the Strath Haven community possess. The Bocce Club is only a Unified Sports Team, but the community has felt its effects. Team member and participant Paul Brooks describes Bocce Club as special because it “supports who people truly are, to stop use of the “R” word. With an active and fun sport, the club is a great way to meet new friends you’d never imagine before.” This year, the bocce season began with more Central League tournaments. Fans and peers gathered to support their friends and this important cause. From winning matches to fundamentally improving the social atmosphere of Strath Haven, the Bocce Club and the “Spread the Word to End the Word” campaign have been a positive force in the school community.